With the school year coming to an end, you may be thinking of quick and easy teacher gifts, that don't involve pinning cute ideas on Pinterest for 3 days then leaving yourself with an hour or two to complete the over-complicated cutesy ideas that you have promised your child you will make! Well I thought I would source some nice easy ideas for gifts that can be bought online or in local supermarkets. My children's teachers have made a huge impact on their little lives, so it is important to me to give them a small gift to show my appreciation. We will more than likely make some home made cards to go with the gifts but with so many teachers and assistants to thank in one way or another, shop bought gifts are my saviour. Monty Bojangles are seriously luxurious truffles at an affordable price. They have so many different flavours available. Me and my mini chocolate tasting assistant Gracie tried two flavours; Ruby Fruit Sunday and Flutter Scotch. Ruby Fruit Sunday 'Red berry and crumbly biscuit cocoa dusted truffles' was the favourite for both of us! Flutter Scotch 'Butterscotch & Sea Salt cocoa dusted truffles' was a bit too harsh for Gracie but I thought it was delicious! 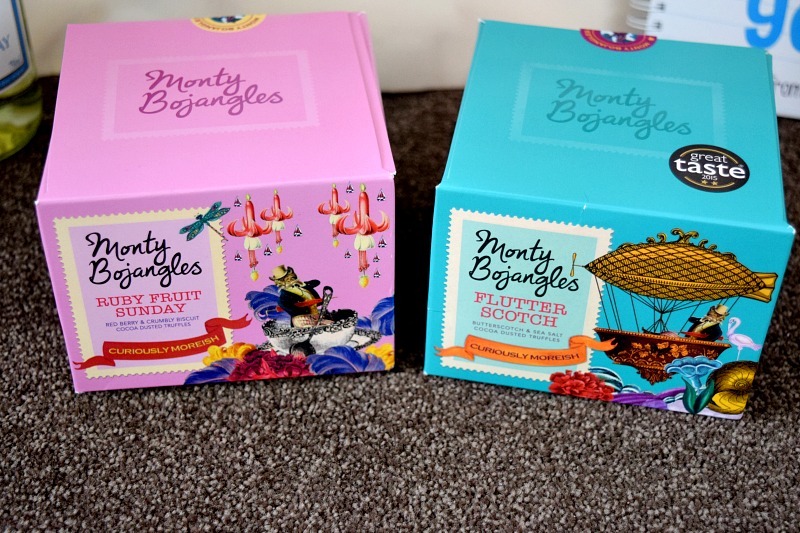 I love Monty Bojangles with their unique tasting chocolates and eccentric packaging, they make a fab gift for teachers! Sometimes a nice glass of wine is the perfect way to unwind and I am sure the end of Summer term is one of those times for a hard-working teacher. Barefoot Chardonnay is bursting with flavours of green apples, ripe peaches and a hint of honey. It has a really smooth taste and it really isn't surprising that it is an award-winning wine. I love a good white wine anyway and I really like this Chardonnay. What is even better is it has an RRP of just £6.99 and is available at most good wine stockists so is readily available. Barefoot Malbec is a luscious red wine with juicy flavours of blackberry, currant, and vanilla with a smooth finish. Another award-winning wine which tastes great accompanied with food. It is definitely the kind of wine you would pull out when you have friends around for dinner. It has a very juicy taste and I must say I would certainly be pleased to receive it as a gift. This one again has a RRP of £6.99 and is available in all good wine stockists. Apothic Red Apothic Red's unique style is crafted with four distinct red grapes- Zinfandel, Merlot, Syrah and Cabernet Sauvignon. With tasting notes blackberry, sweet cherry and hints of mocha, chocolate and brown spice, Apothic Red is opulence in a bottle. 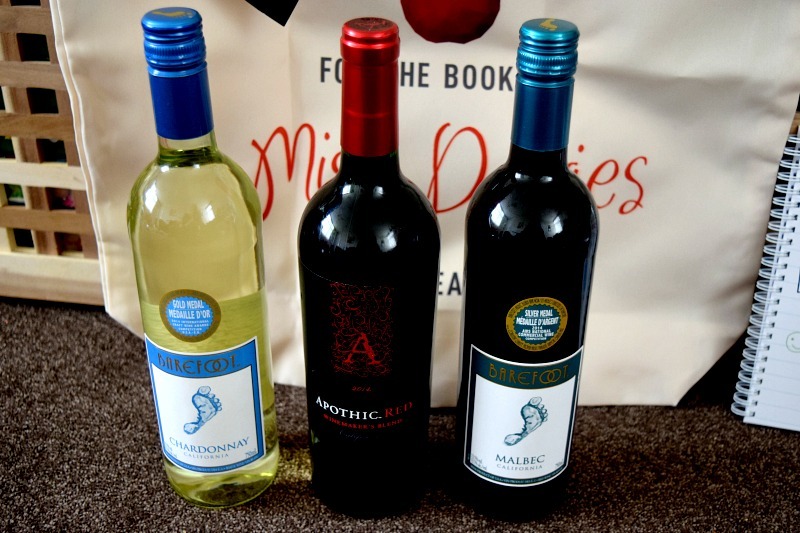 Apothic Red has a very bold and distinctive flavour it has an RRP of £10.00 which is great for a luxury wine and is also available in all good wine stockists. Getting Personal is one of my favourite online stores for personalised gifts. Gracie's teachers have really helped her in so many ways this year. Not only has she learnt so much academically, but she has also built up so much confidence in herself and let herself open up to other adults and children. I definitely think the support she had earlier on in the year, when she was struggling, has helped her with this. 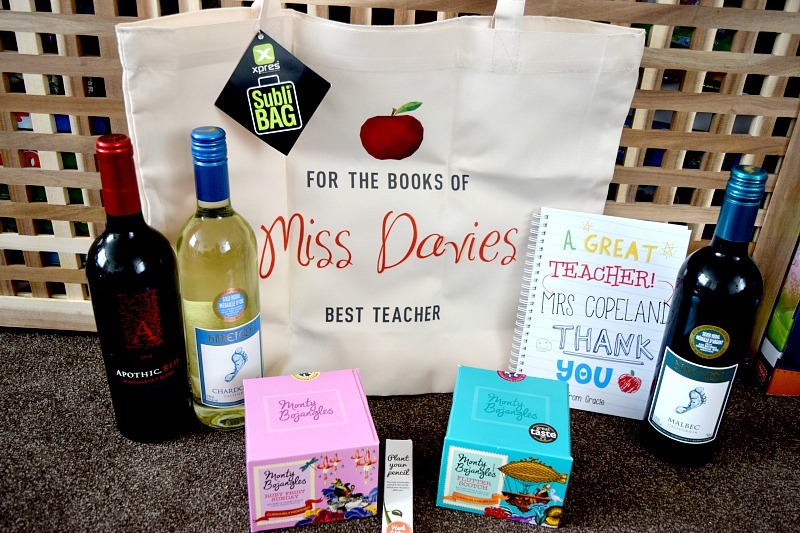 So for her two main teachers, we have had personalised gifts made to say thank you. This personalised tote bag would be great for a teacher to use to take home their marking. It is a lovely strong material and is fantastic quality. All three lines are completely personal so you can choose what you want to say and you can use the preview function on the website to view the item before purchasing. The bag is £14.99. For her other teacher, we have had a personalised notebook made. This is mainly because Gracie, who is extremely clumsy, seems to think her teacher loves the accident book and so she insisted on buying her a new book to write in! The notebook is really cute and much bigger than it looks in the picture as the bag is very big! The personalised notebook is £6.99. 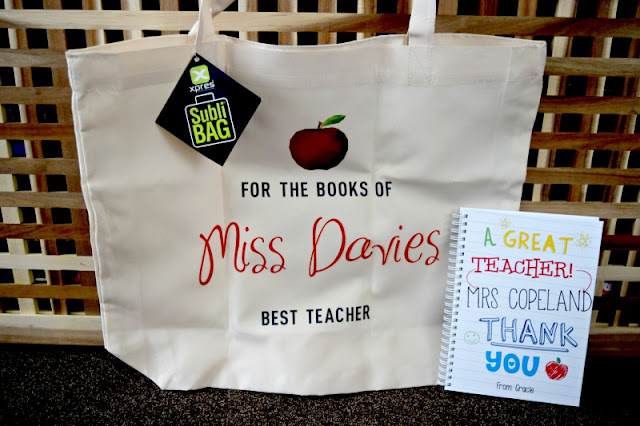 As soon as I saw these I thought they would make a brilliant teacher gift. Sprout sell a range of pencils which are so environmentally friendly that once you have finished with your pencil, and it is so small you would throw it away, instead you plant it! 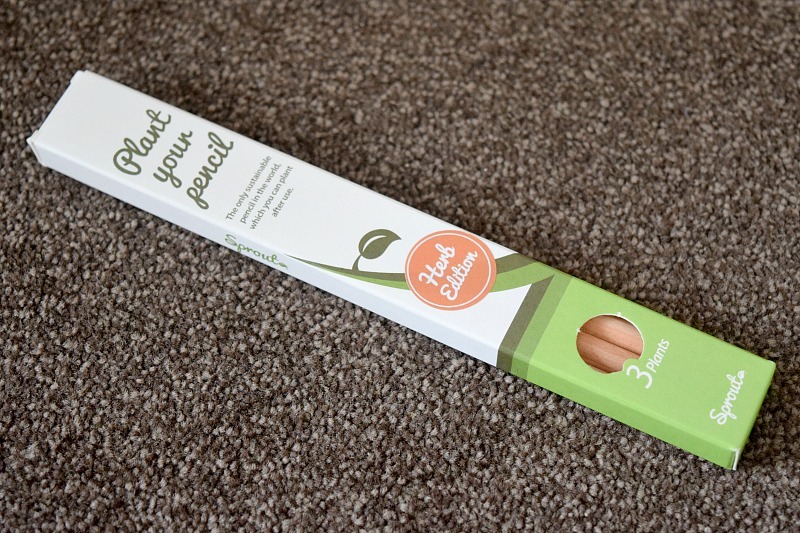 There are different types; herbs, vegetables, fruit and flowers and each contain seeds in the bottom which encourage plants to grow from the finished pencil. In Pre-school, Reception and Nursery at our school, they often do planting and teach children all about growing your own veg/fruit/herbs etc so I think these are such a fitting gift.